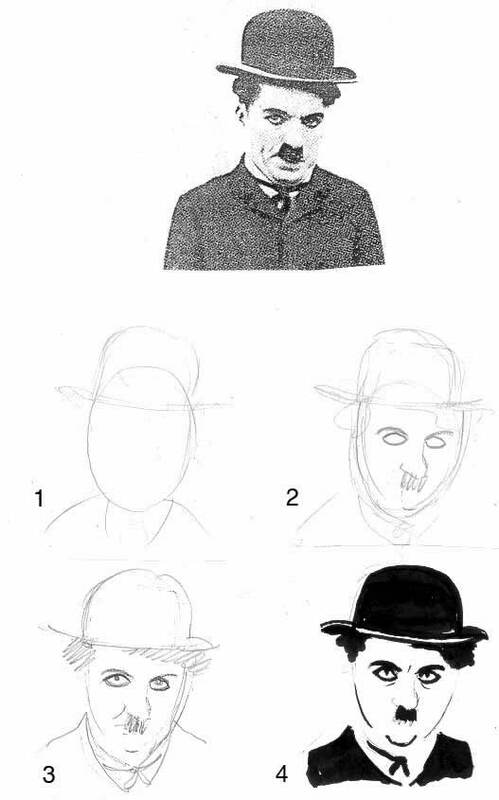 The technique in this lesson is to exaggerate facial features, but facial features are only part of good caricature. Body shape and “language’ also need to be convincing. This comes through practice. Here we shall look at faces. Look at the subject carefully. Here it is Charlie Chaplin. Then look away. What do you remember? His hat, moustache , and eyes. These are the ’essentials’ that you caricature. With other characters it may be hair (or lack of), nose, glasses etc. 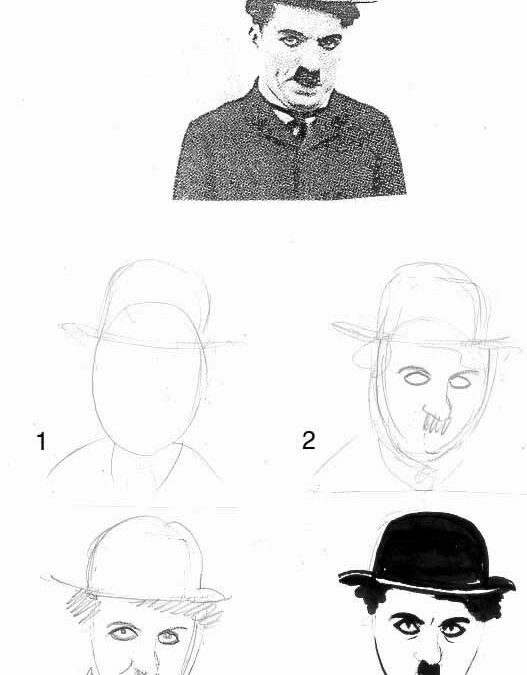 Draw an oval, add hat, shoulders. Now do some well known figures from public or film life.